Our Cut End Wet Mops are the preferred choice when a good quality, inexpensive wet mop is required. 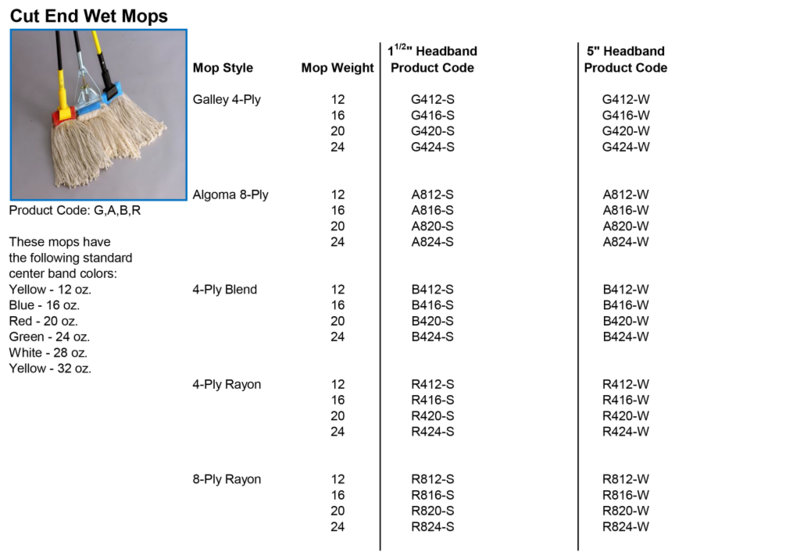 Our Cut End Mops provide an option when laundering of mop heads isn’t feasible. 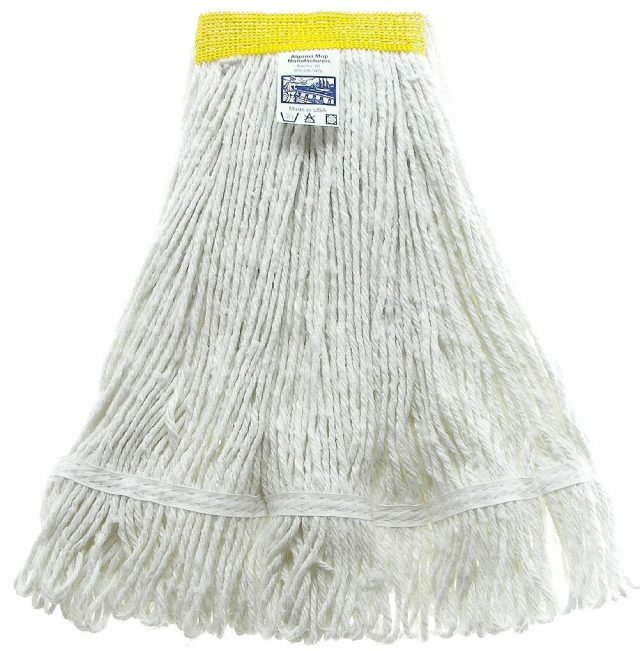 Economical multi-purpose mop. Available in a variety of yarn styles Galley - Better 4-Ply Algoma - Best 8-Ply Cotton Blend 4-Ply Rayon 4-Ply Rayon 8-Ply Sizes Available: 12,16, 20, 24, 28 ounces.